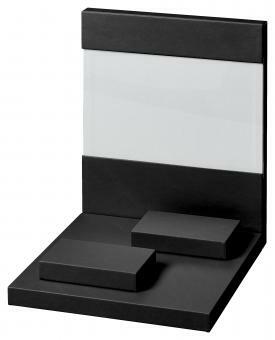 Covered jewellery displays with reversible back panel for double-sided presentation. One side with Plexiglas window for a picture of your choice. We imprint your own logo free of charge on the front and back of the jewellery displays, which are covered with imitation leather NAPPA.